Both safety and quality play the most important roles while choosing any used car. You need to ensure that you get the best deal for your spending without any upcoming quality concerns or repair problems. The previous skills of vehicle’s condition will bring you a peaceful mind while driving it on high ways or usual road. The high-quality inspection will also increase the safety of both drivers and passengers who are travelling in a car. 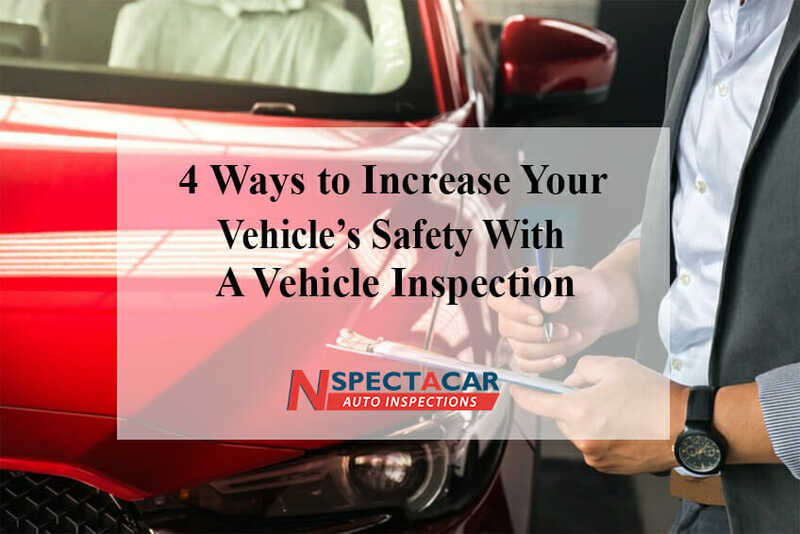 With reliable and high-quality vehicle inspection, you can easily determine if the car meets significant guidelines which will ensure the safety. Some of the vehicles will function badly while running it because of inappropriate inspection. The lack of car inspection will lead to serious harm. When it comes to safety, it is a major priority in running any vehicle. It is because it is life-threatening when it is not handled with care. The regular car inspection will reduce the danger of a car breaking down. The car inspection team not only inspect a car but also bring you a precise and effective car inspection report. It is the useful resource that helps you to know the upcoming repair problems with a car. Apart from that, the vehicle inspection also meets the inspection standards and guidelines. It will reduce the danger of getting a car which has the possibility of getting damaged or repaired while riding it on road. In any instance, when some parts of your car break down, you are forced into settling to pay among for less quality. It is because you do not have any other options. If you previously notice problems, you have enough time for getting the right deal, buy high-quality parts and find the certified mechanics. It will not only save cash but also ensure better quality repair. When you decide to invest in any used car, it is significant to get the vehicle inspection. The main reason for getting vehicle inspection is that it helps you to know both the condition and value of a particular car. The sufficient cost details let you go with a reliable dealer. When it comes to safety test, it is the initial testing which is done through a car inspection. The tires, oil, and other components are checked properly during car inspection. It is because they are the major components that will ensure the safety of a vehicle. The inspection team also check the condition of the engine and other vital components of a car. The most effective and precise inspection services will bring you the desired safety while driving the car.